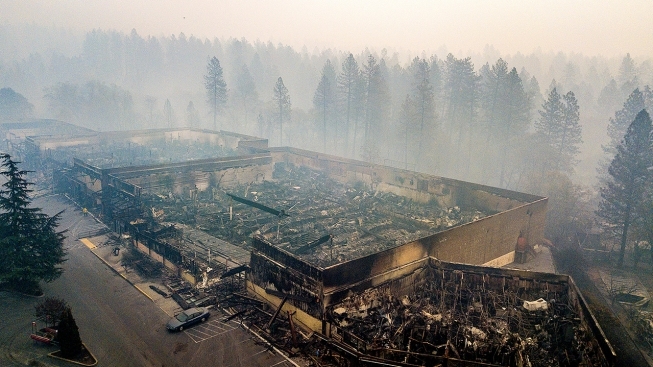 In this Thursday, Nov. 15, 2018, file photo, smoke hangs over the scorched remains of Old Town Plaza following the wildfire in Paradise, Calif. Authorities on Thursday said there has been one more fatality in the Camp Fire, bringing the death toll from it to 84. For more coverage, visit NBC Bay Area's Camp Fire feature page.